Get ready to celebrate National Serger Month! 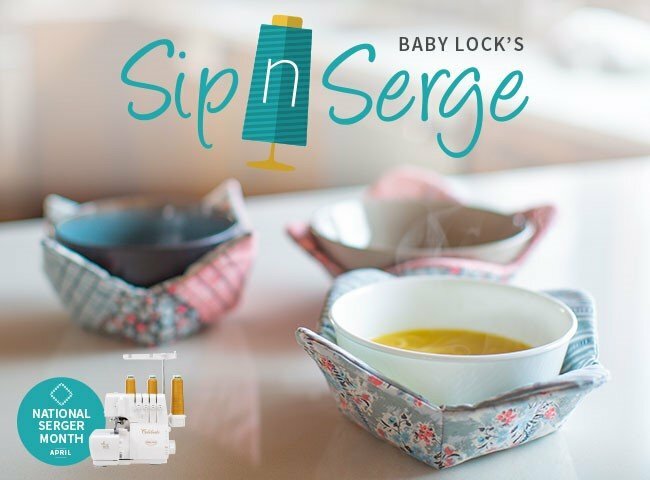 We are hosting 2 Sip N Serge events where you'll make a handy microwave bowl cozy. Gather your friends and your favorite beverages for a fun social sewing event!